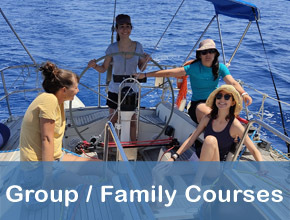 Weekend sailing courses in Sardinia, by Playa Sardinia. Via booking reservation all year round, you will have an instructor at your disposal, for weekend courses. 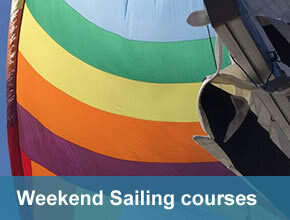 The weekend sailing courses start on Saturday morning to Sunday afternoon, Italian or English speaking sessions. 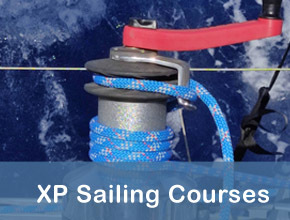 The items are customized on beginner, intermediate, or advanced requests, here you find an example of a beginner sailing course items set. 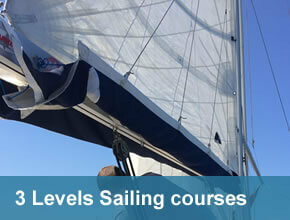 The boat and main sailing terms, Sails, Points of sail, safety, sails trim, basic manoeuvres. Boat availability, a dedicated instructor, safety equipment, insurance. 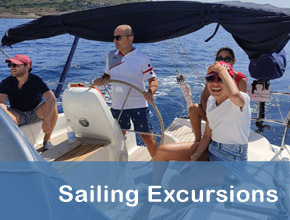 A great experience, with friends, or other sailors. Included 4 sessions - 2/3 hours each, a total of 12 hours. 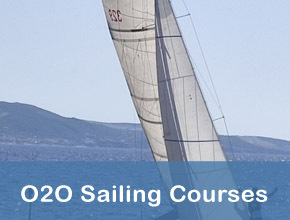 At the end of the course, Playa Sardinia issues a Sailing course certification. For courses within July and August it is necessary to book at least 7/14 days in advance. 190,00 Euros/Person, Playa Sardinia membership and insurance included. At least 3 Members per course, lunch not included. with the 32 feet club boat from the Isola rossa harbour and from Castelsardo with flottilla activities, starting from the 23 feet boats.